Going to church for most folks just isn't very attractive. But, that shouldn't surprise us. Doing things as an act of discipline isn't very popular. Doing things for others isn't seen as something necessary. 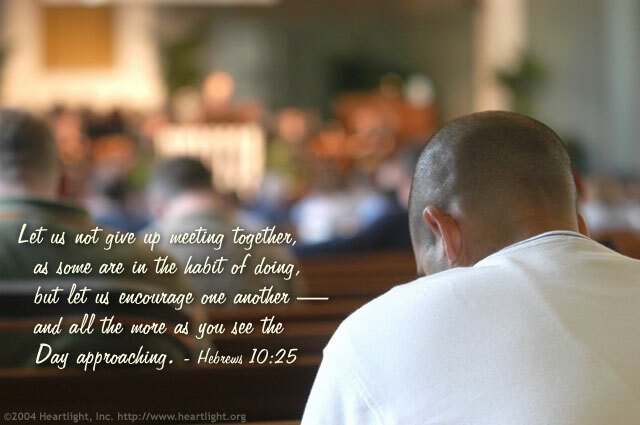 The Holy Spirit's message, however, reminds us that we need to go to be with God's people because they need us -- to encourage and to motivate THEM! In fact, I think the Lord would prefer us to think of it as "being" church rather than "going" to church.